Refer you to a reputable medical facility that speaks English if necessary. Offer first-aid advice to stabilize minor injuries for transport. Provide security intelligence or give advice regarding your travel plans. Assist with replacing lost documents. Arrange a medical, security or political evacuation (with Cornell’s approval). Relay messages to Cornell or loved ones. Travelers can also create a free user account at UHC Global, clicking “Create User” in the log-in box on the left and using the Cornell United Healthcare Global ID# 343211. Your Cornell ID Card (print and carry with you at all times). Comprehensive risk analysis and information for countries and cites (World Watch reports). Medical Intelligence Reports with lists of local hospitals, prevalent diseases, quality of care ratings. Services provided by UHC Global do NOT include health insurance. It is each traveler’s responsibility to verify their existing health insurance applies abroad. In most cases, travelers will be required to pay out-of-pocket and seek reimbursement upon return. Faculty and Staff: Check with your insurance company regarding their international coverage. Cornell’s endowed health insurance plans (Ithaca campus, Weill Cornell Medicine, and Cornell Tech), administered by Aetna, provide enhanced coverage for international travel. Students: Whether you have the Student Health Plan or other insurance, all you need to know about insurance abroad can be found on the study abroad page of Student Health Benefits. Students must be covered by an active health insurance policy throughout the duration of their formal experience abroad and any periods of travel before or after. Be sure to review information on how to access care outside of the United States and ensure that you have adequate coverage. Other study abroad programs may provide or require their own insurance coverage. In most cases, however, this does not meet Cornell’s requirements, so you may need to verify additional coverage. Information about supplemental coverage is available on the study abroad page of Student Health Benefits. If you require proof of health insurance coverage to obtain a visa, contact your health insurance provider. (The Office of Student Health Benefits can provide such letters for students with SHP). If you need confirmation of emergency evacuation and repatriation coverage through UHC Global, contact Risk Management and Insurance. Visit the Travel Clinic at Cornell Health. Schedule an appointment at Cornell Health's Travel Clinic for pre-travel consultation, immunizations and health information. Disclose any medications you take on a regular basis; there may be contraindications with travel-specific medications such as malaria prophylaxis. Consider using this Health Self-Assessment as a guide for speaking to your medical provider. 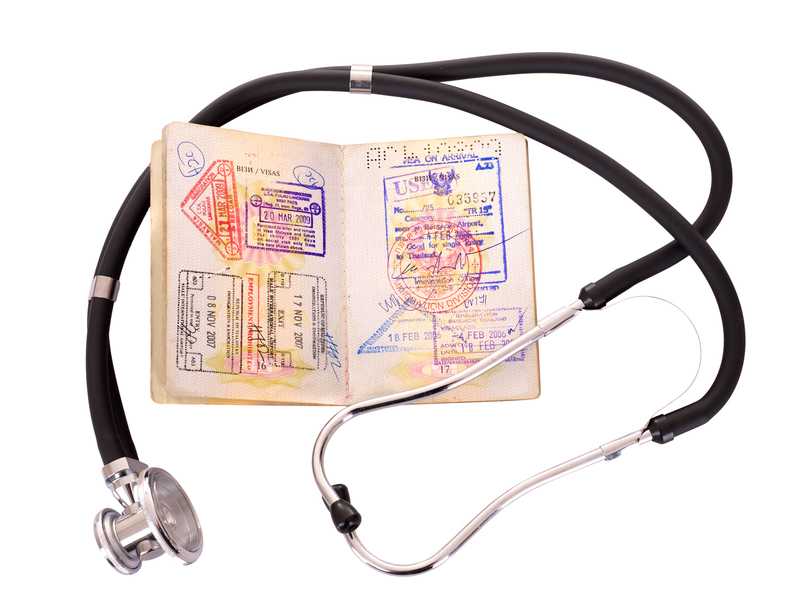 It is important that you are prepared for international travel and have carefully considered any existing health conditions in consultation with your medical providers. Pre-existing health conditions may be exacerbated by changes in elevation, jet lag, time changes, air quality, etc. Pack prescription medications in their original, marked containers. Carry a letter from your attending physician that describes the medical condition and any prescription medications, including the generic name of any prescribed drug. Ensure that your medication is legal in the country/countries where you are traveling by checking with the foreign embassy of that country. Bring enough of your medication to last for the duration of your trip. If your insurance provider will not fill a prescription to last that long, you can try to re-submit with a letter explaining the length and purpose of your trip. If you need to fill a prescription or obtain over-the-counter medication overseas, it may have a different name. The Cornell Health’s Travel Clinic can help identify similar medications. Consult TSA guidelines on traveling with medications. If you have any dietary restrictions or requirements that are related to medical conditions, you should discuss your travel plans with your physician. If you are traveling as part of a group, you should also discuss these details with your trip leader. Traveling can exacerbate any existing or latent conditions. You should meet with your doctor or counselor to discuss how changes such as location, itinerary, demands on your time, language and culture may affect your mental health. Once abroad the services Cornell’s Counseling and Psychological Services (CAPS) can provide abroad are very limited. If you or fellow traveler experience an incident involving mental health, we recommend calling United Healthcare Global at 1-410-453-6330 for assistance in finding a local provider. If you have a disability and you wish to go abroad, planning ahead is essential. Unlike the United States, many other countries do not require disability accommodations. Consult the State Department for information on traveling with disabilities. Students: review the information for students traveling abroad on the Student Disability Services website and talk with your SDS counselor.